Three local community groups are being brought together this week to discuss forming a cluster group for the area. The community associations from Whitehead, Ballycarry and Islandmagee will meet up to discuss areas of common interest and how a combined effort could benefit their local area. 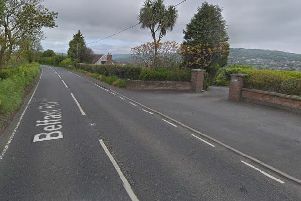 It will be the first time the three have met together, with two being located in the former Larne Borough Council area and one in Carrick Borough in the past. The cluster initiative is the brainchild of local councillor Robert Logan, who said he had been influenced by how successful cluster groups had been in Ballymena. He said the cluster groups there had been successful in attracting funds which might not have been available to an individual community group. Cllr. Logan then convened a meeting in Islandmagee to bring the groups together, after finding that there was local interest in greater co-operation. “I think it is important to get together as a start and to investigate any areas of common interest and also local groups in the individual areas which may be of interest to people in the other two associations,” he said. “Knowing various individuals across the area I feel sure that other ideas will materialise,” he added. The individual local associations have been successful over the years in various initiatives and all three were approached by Cllr. Logan to identify if they would be interested in developing projects or programmes.